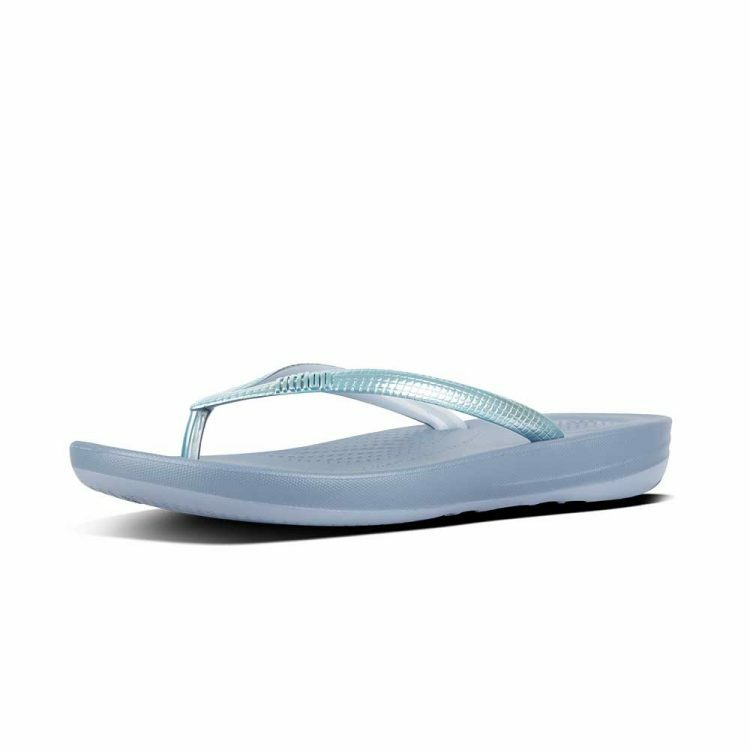 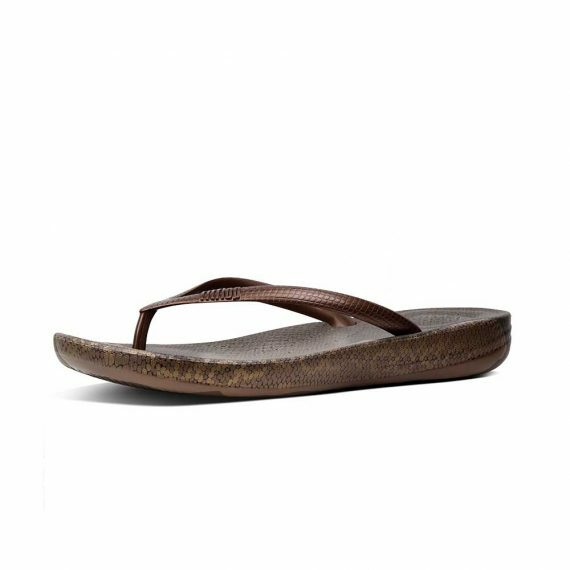 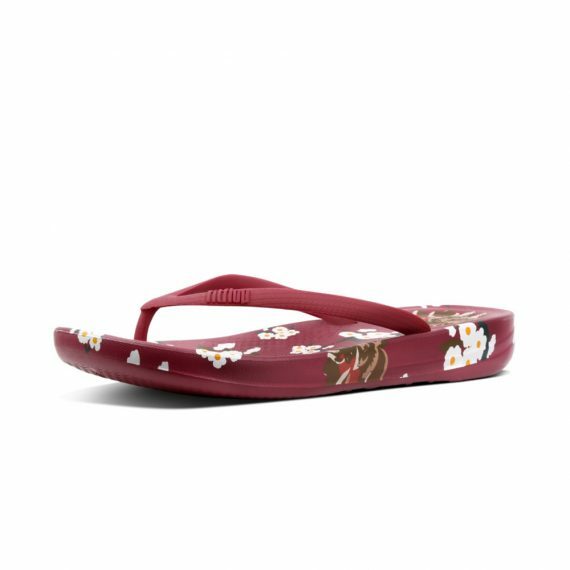 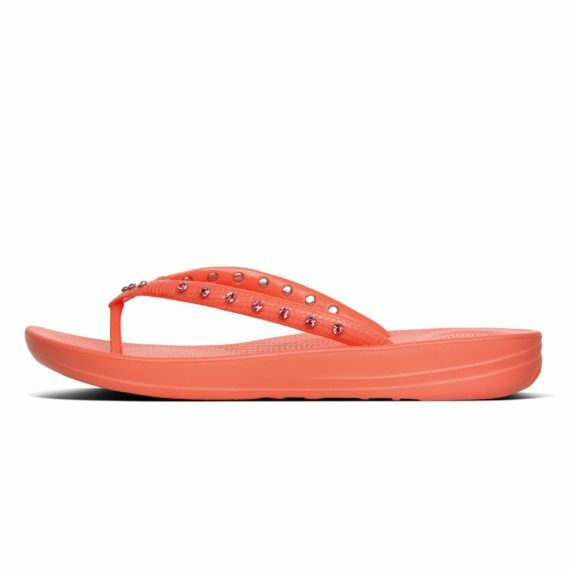 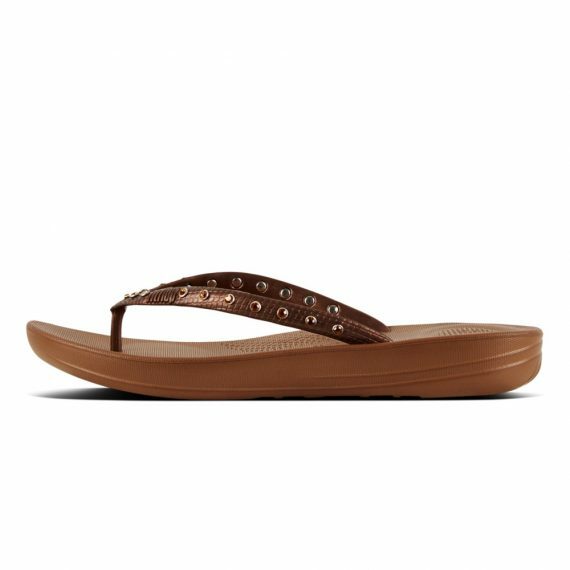 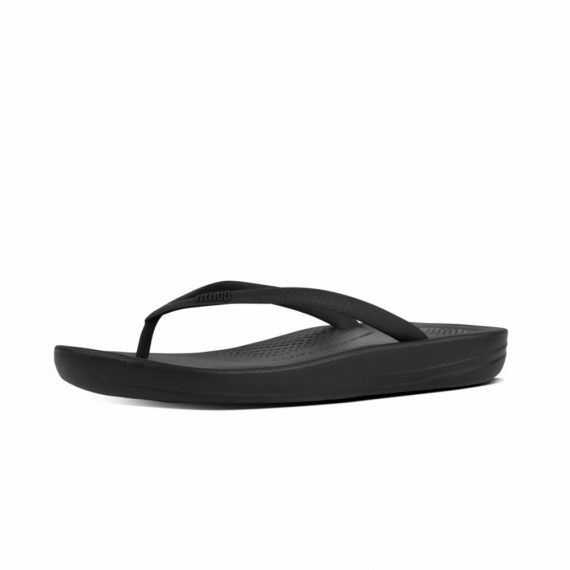 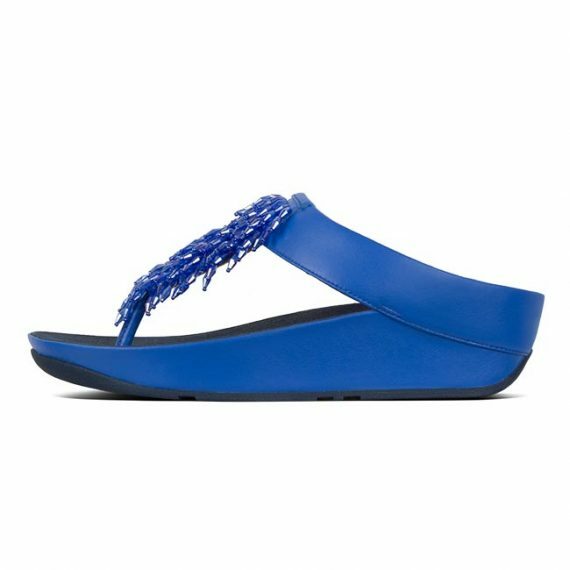 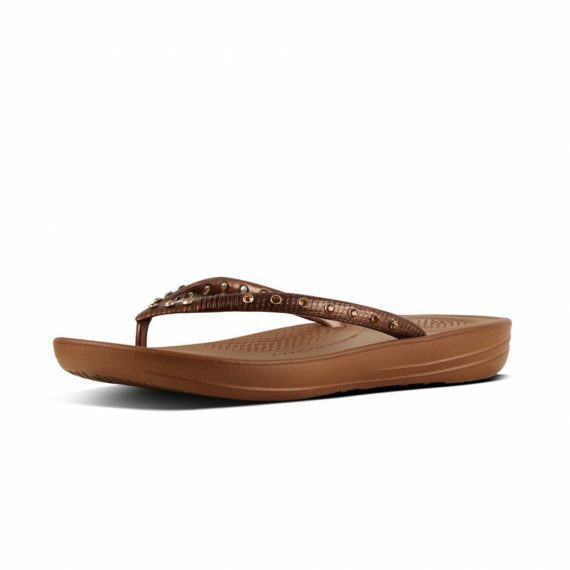 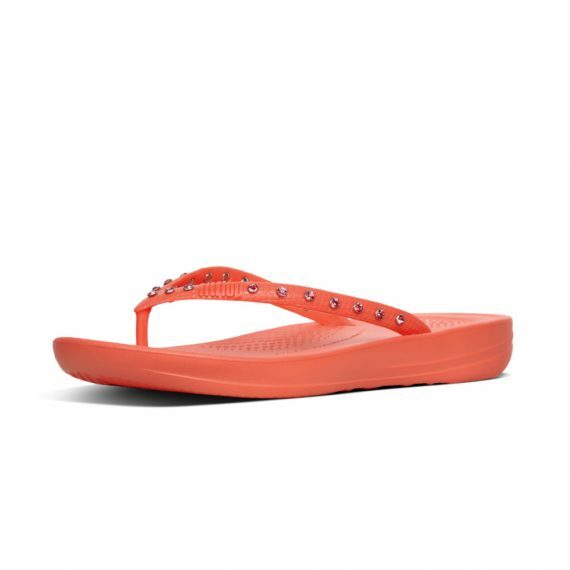 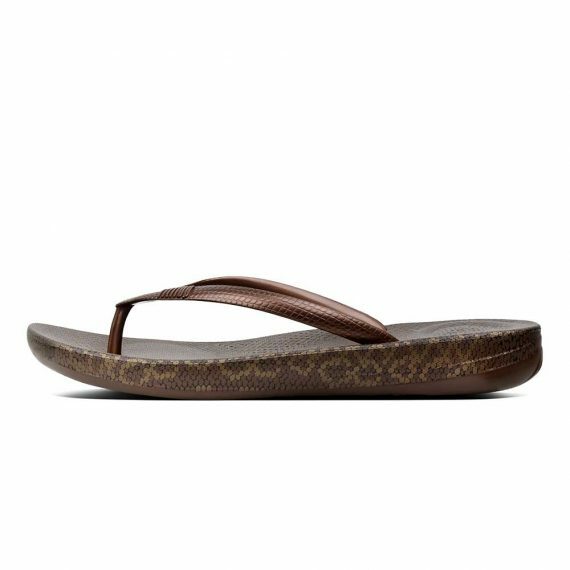 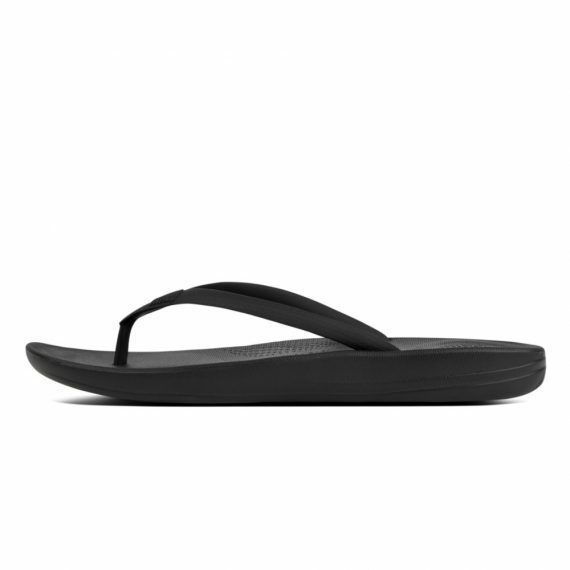 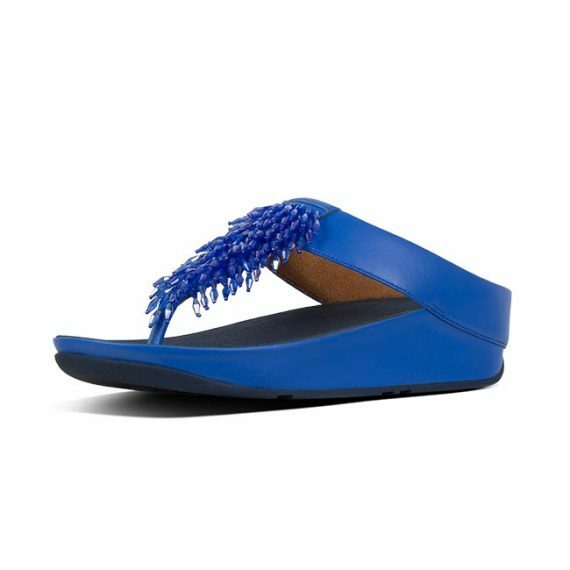 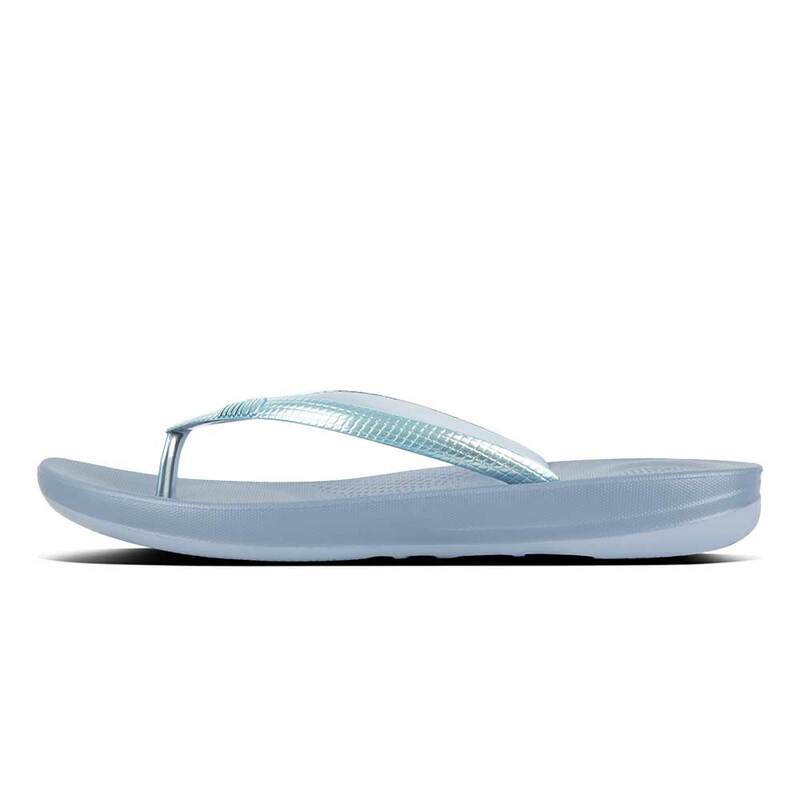 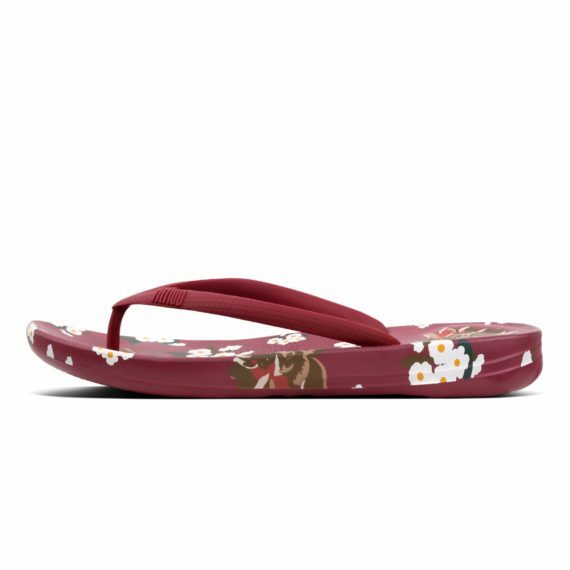 From the top, they look like your typical surfer-girl flip flops. 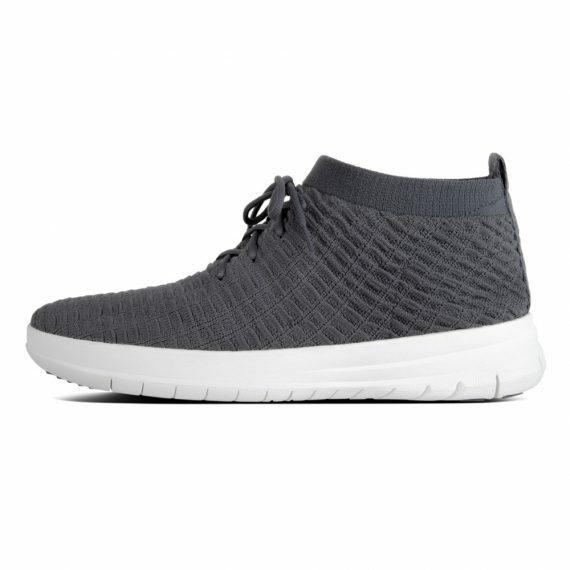 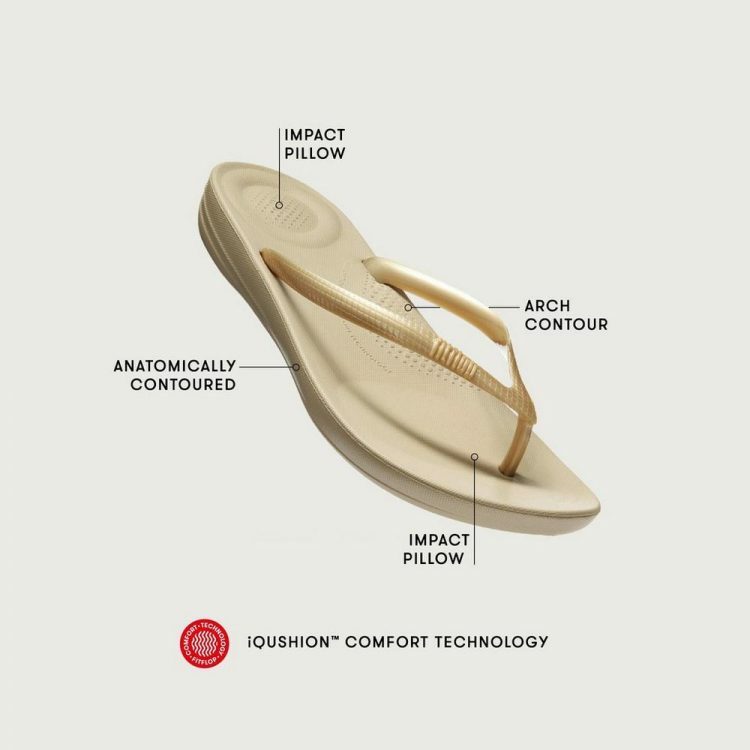 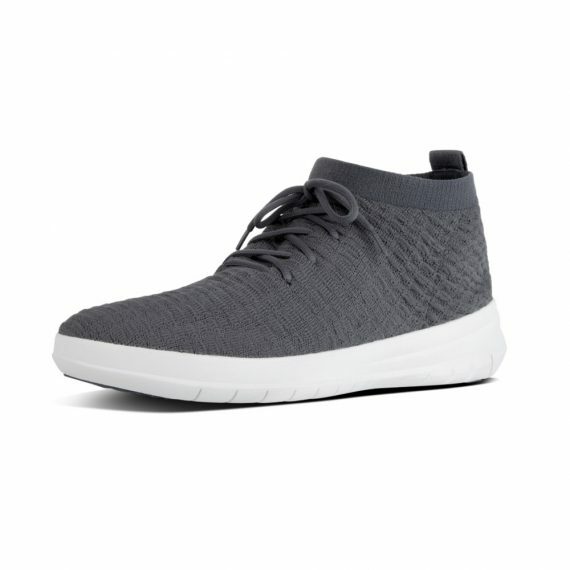 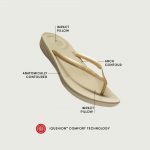 Underneath, they’re engineered with iQushion air-foam cushioning – with impact pillows at high pressure areas – for non-stop comfort. 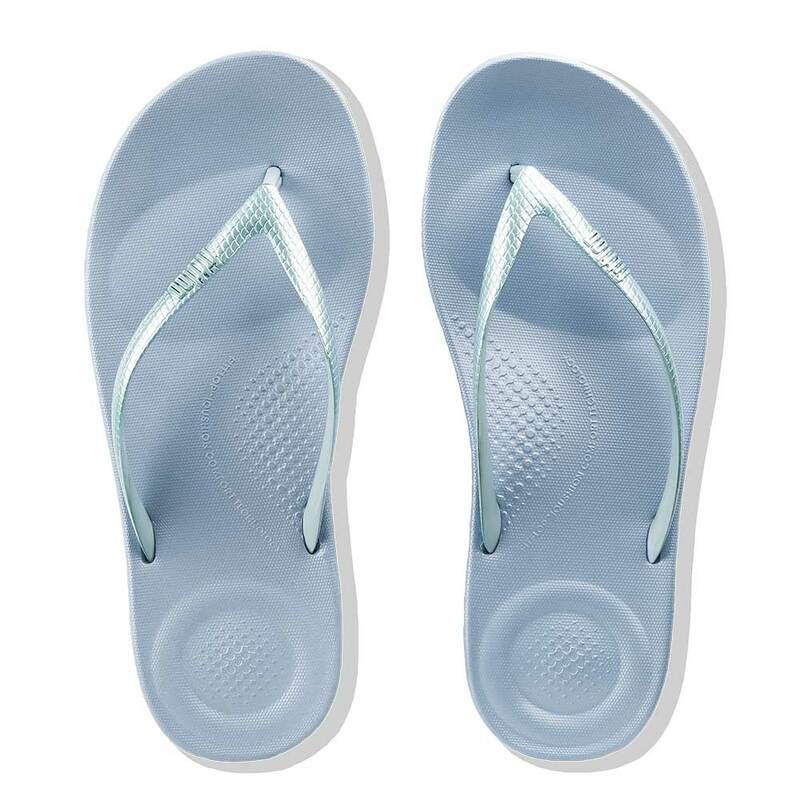 Here in super shiny mirror metallic, throw a pair in your suitcase and you’ll find yourself wearing them to beach, bar and beyond!